Update On Number Of Russian Warplanes Deployed At Hmeimim Airbase (Photos) 4.1111111111111 out of 5 based on 9 ratings. 9 user reviews. 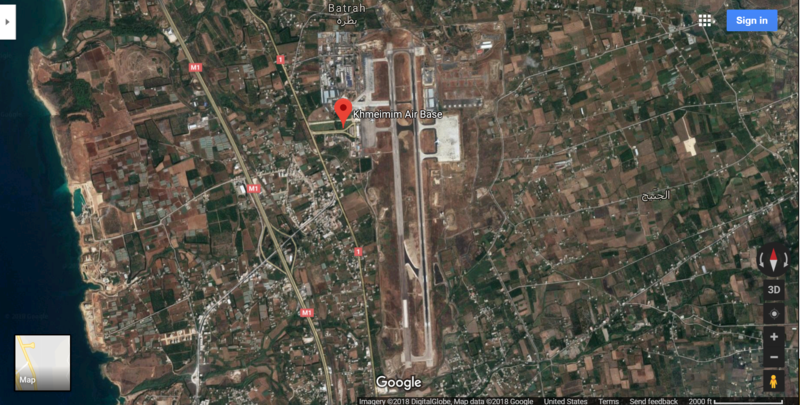 Fresh satellite images released on November 9 revealed that Hmeimim airbase in the Syrian coastal governorate of Lattakia is currently hosting 24 aircraft of the Russian Aerospace Forces. The aircraft were identified as eight Su-24, six Su-34, four Su-35 warplanes, an A-50 airborne early warning and control (AEW&C) plane, an Il-38 maritime patrol and anti-submarine plane, an IL-20 signal intelligence plane, an Il-76 cargo plane, an An-26 transport plane and an An-74 cargo plane. 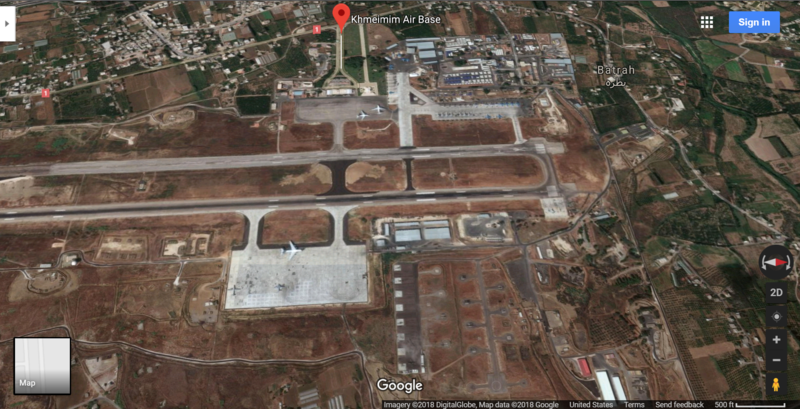 Last month, satellite images revealed that Russia forces were building eighteen hardened aircraft shelters (HAS) in Hmeimim airbase in order to provide aicraft with extra protection from rocket and UAV attacks. The new images show that the construction of these shelters is still ongoing. Between late 2017 and early 2018, Hmeimim airbase hosted more than 40 Russian warplanes, which were supporting the operations against ISIS and other radical groups in Syria. Later, the number started to decline as most areas in the country were stabilized through reconciliation or deconfliction agreements. 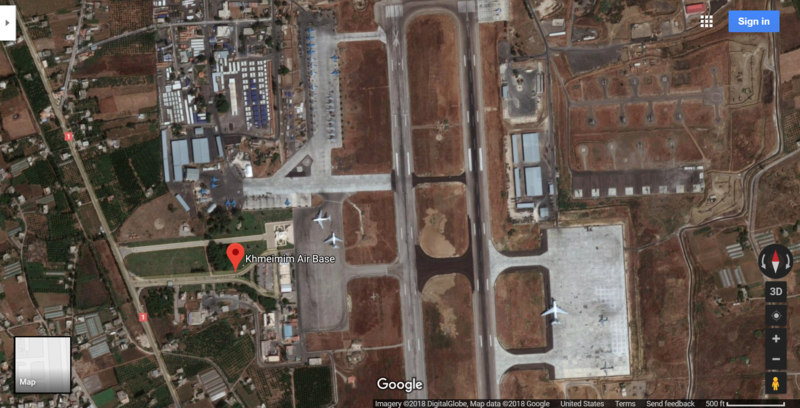 These are Google Maps satellite views of the air base with a close up of the parking lots. I use satellite overviews a lot for my ET/ED contact work operations planning. To try to insure that they’re successful and don’t endanger civilians or cause problems for the authorities. So that I can continue to conduct them legally without restrictions. There’s room for 40 fighters in the NW L shaped parking lot and for 10 more in what looks like a west service department. And then two larger lots for civilian or additional military aircraft. This facility looks to me to be capable of serving as a staging and deployment area for the Russian component of a clearing operation to remove NATO aircraft from Syrian airspace east of the river in conjunction with an upgraded Syrian air force that in conjunction with the Russian air force could provide peer air cover for Syrian government coalition ground forces advancing east of the river. 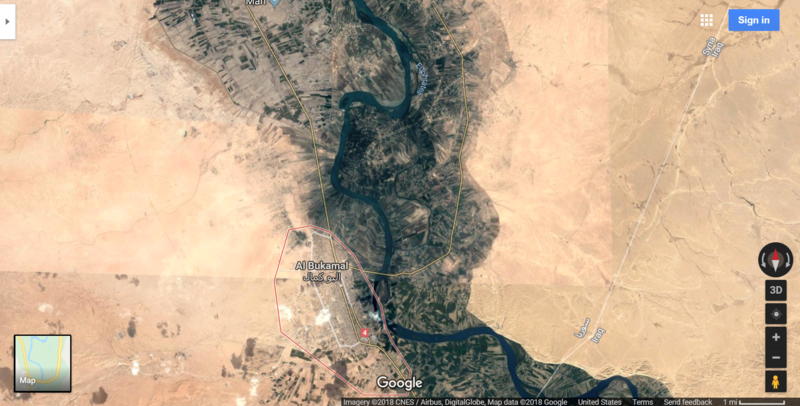 Right now the US military is offering the Syrians advancement opportunities to expand their foot print against Isis across from Abu Kamal east of the river. If the Syrian government coalition rejects this. The US will use it as justification to continue with the partition of Syria to create a new Yinon plan Syria for the Jews 60% of the size of the Syria that existed before the war. It’s a possibility, but I think they will solve first the Idlib’s problem. It’s probably going to drag on for a while. And the Russians are moving in soon beyond the DMZ to get the highways open. It to soon to tell how it’s going to play out. Right now the Syrian government coalition isn’t involved in a lot of heavy clearing operations like they were around Damascus and on the Golan border. 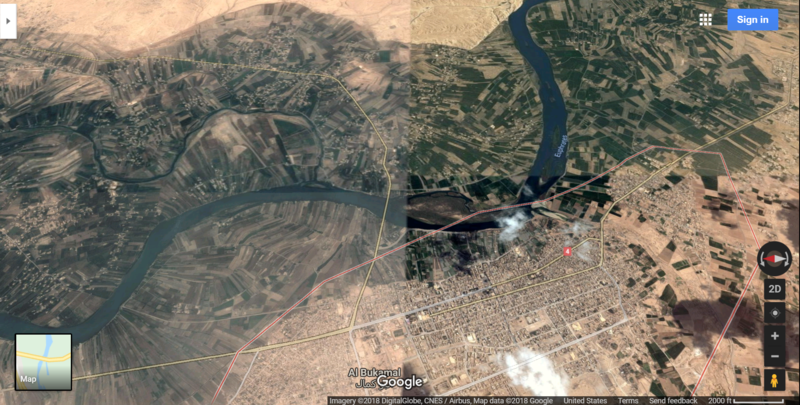 And there is the option of more manpower from Iran, Iraq and Afghanistan deploying to help clear Isis out of the east side of the river across from Abu Kamal. Once adequate air cover is gotten in place to deter NATO strikes on Syrian government coalition ground forces advancing east of the river. Still looks like a relatively small base to be honest… it should be seriously expanded and fortified. It all costs money, and Syria is full of air bases that Russia can and does use. If I’m not mistaken, it’s dual use with civilian airliners flying out of it. Those facilities can be used for the military if necessary. 40 planes isn’t a lot of aircraft. If the civilian areas are used, that would double the military capacity. The Palmyra base is better suited for a large military presence. With less risk to civilians. No need the flying distance from Hamadan in Iran is less than 90 minutes even at below mach 1 cruising speed. 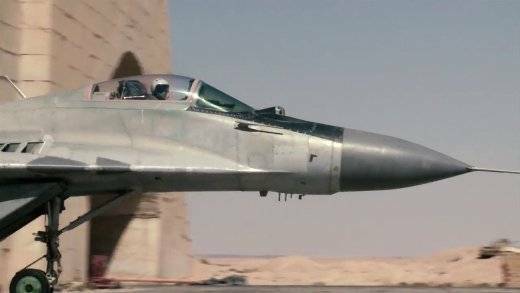 Russia can beef up its airpower in Syria in less than 3 hours. The Syrian T4 near Homs is also being upgraded by both Russians and Iranians. Satellite images show at least 4 Iranian Il-76 and C-130 transports parked there. “Russia forces building eighteen hardened aircraft shelters (HAS) in Hmeimim airbase” long overdue… terrorists and their masters plan new UAV attacks. I agree that it is long overdue to make shelters. I don’t, and I don’t see how random people can see 1% of how overdue is something like that. 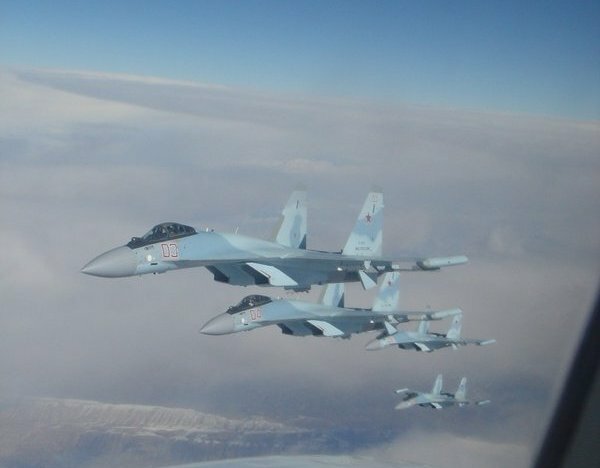 Russia can beef up its forces in Syria is less than 3 hours as past events have shown. The flying time from Armenia through Hamadan in Iran is less than a couple of hours. Russia and Iran hold all the aces in the region. The Iranian TAB 3 (tactical Air base) is now four times its previous operational sign. Google some images of over 100 fighters, transports and tankers lined up there. Since 16 August 2016, the Russian Air Force′s Tupolev Tu-22M long-range bombersand Sukhoi Su-34 strike fighters have used the base for conducting raids over Syria as part of the Russia’s military support mission for the Syrian Arab Republic. It is the first time since the Iranian revolution of 1979 that Iran has given permission to an ally to use its first rate military bases. The Iranian Hamadan TAB 3 is also guarded by Russian supplied S-300 batteries. Russian needs to unleash hell on the headchoppers and their masters again in Syria. Enough of a lull.